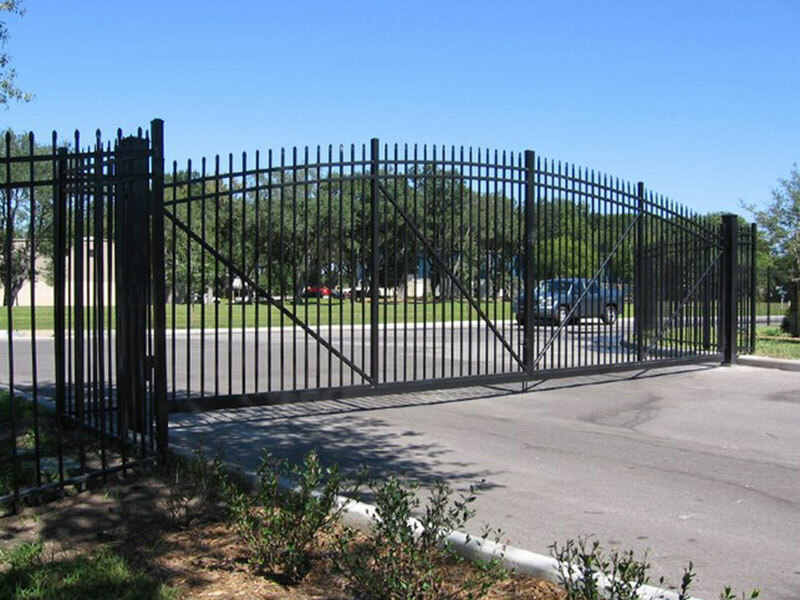 QCE Aluminum Fence offers a great line of industrial aluminum gates to help secure your property. Choose between either a swing-out or cantilever style, both available in 4 arch options. 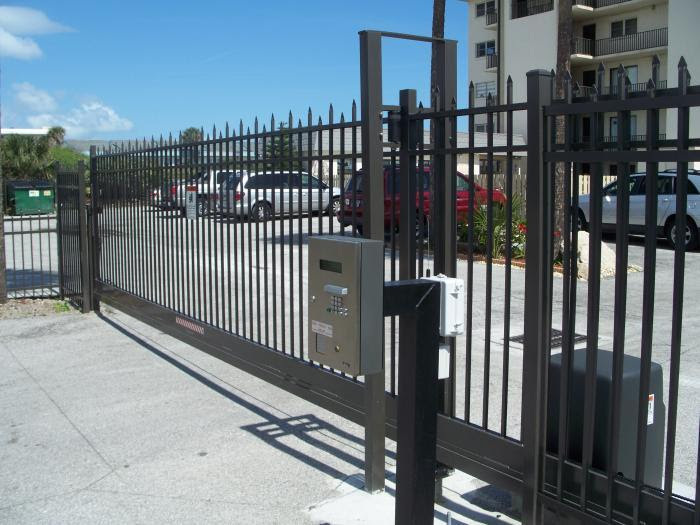 Cantilever Gates offer the added security to your property if a swing-style gate is either not desired or won’t fit. Cantilever gates compliment our matching industrial and commercial aluminum fencing with impressive functionality and is offered in 7 rich colors. When you’re looking for an industrial gate, it’s hard to beat the quality and durability of an industrial aluminum swing gate. QCE Aluminum Fence offers swing gates to match your aluminum fence. Available in 7 rich, powder coated colors, enjoy the strength and elegance of an industrial aluminum swing gate that’s built to last.